My little world of craft, where I can just be me! Welcome to my blog. This is where I love to share all my cardmaking. 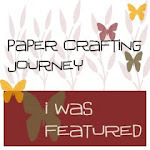 I'm a DT Member for Lili's Little Fairies,Crafty Emma's Store (CES Challenge Blog) and Dream Valley. I have no willpower and am a hoarder of paper pads, pens and rubber stamps galore. 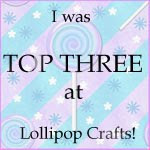 I love visiting other crafters blogs and have gained many cyber friends threw blogland. Thankyou for taking the time to look at my blog today and I love reading each and every comment. Today we have a new challenge for you over at the LOTV Challenge Blog. Dawny has come up with a fantastic sketch and I had so much fun making this card. My card making can be a bit like Marmite, you either love them or hate them. Well on this occasion I am happy to say I am really pleased with how my card turned out. The papers are Tim Holtz "Vintage Shabby" paper stack. I've had these for ages but have only been stroking up until now. The image is of course LOTV (my favourites atm) and coloured with Promarkers. I distressed the edges and used lots of glitter glue. This one is Glitz Gel from Imagination Crafts. The sentiment is Technique Tuesday and as Wild Orchid Crafts are the sponsors for this challenge, all the DT have used flowers from the shop. MS Punches and some Brown Bazzill also used. 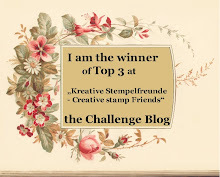 Hope you can join us at the LOTV Challenge Blog. Please remember the rules have changed and you will have to use a LOTV Stamp to be eligable for any prizes. Thanks for taking the time to look at my blog, I love reading your comments to! What a sweet card, love the paper with the text in the back, the flowers are very neautiful and this image is just sooo sweet! You colored it very nice and love the accents on the edges of the papers. Good luck with the challenges! Gorgeous card Claire, love the beautifully coloured, wonderful image and fabulous details. great card,lovely colors, so girly. Awww Claire this image is darling...so easy to see why it's your favourite!! Love the mono look...you've achieved it beautifully (I struggle with this look! lol)...love all your flowers too! I'm so glad you like your card Cliare because it's gorgeous and has such a lovely, shabby chic feel.... and the colours are so pretty too! Just wanted to let you know, how happy I am to be on this team with you guys! You're a true artist, and your creations are always georgeous!! Have a happy weekend, sweetie! a beautiful card and an adorable image! So sweet! 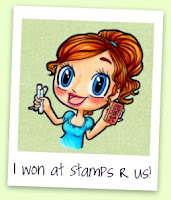 Such a cute image, I adore these stamps. Wonderful distress and beautiful colors. Too cute! Claire! Oh this shabby look is so pretty with her! Don't you just love those Tim Holtz papers? I do! Your card is fantastic! I am so happy to be on the team with you guys! What a gorgeous card Claire,i love your image and your paper. Love the papers Claire and the image is so adorable and beautifully colored!Gorgeous Card!!! this is just stunning, I love those papers not surprised you didnt want to use them, but I am glad you did otherwise I would not have seen them. this is such a beautifully sweet card! Oh it's so pretty Claire!! This is gorgeous! I love the distressed vintage look you have created. oh you lucky gal you! What a great DT to be a part of! Your card is wonderful... love these dress up gals!!! Absolutely gorgeous card Claire great image and I just love the colours and all the distressing you have done. Love your fabulous creation and thanks for joining us at TT this week. Very pretty card very cute image, thank you for joining us at TT this week. She is so super cute and your flowers are so pretty! 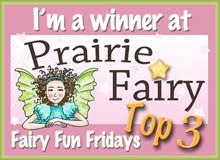 Thanks for joining us at PFP this week, good luck. This is such a totally gorgeous card Claire, very pretty. 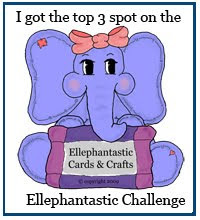 Thank you for joining in with our challenge over at Magical Crafts. OMG this is fantastic Claire, love teh distressing, stitching, colours ............. everything hun. Such a pretty card. 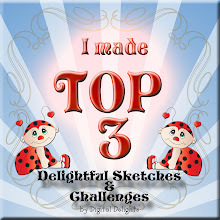 Thanks for joining in with Quirky Crafts Girly girl challenge. Very cute and pretty card!! I love the colors you chose, the image and wonderful coloring you did too! Awwwww, now isn't she pretty in pink?? Love the flowers and gorgeous pink pallette, the image is as sweet as can be!! This is just precious! I love all the pink! Such a fab and supercute card, love your colouring. Thanks for joining us at PFP this week, and good luck. WOW!! Love that adorable card and what a sweet image!! So many great details. Lovin those flowers!!! This is a wonderful card Claire! I love the sketch and the use of all the beautiful pink papers and flowers! Ohhhhhh Claire your card is pure sugar. The little stamp is soooooo cute! Love it! You've created a wonderful card! Oooh, perfect card for this image.. or perfect image for this card? Love all the flowers and ooh, the hat pins are gorgeous! Thanks so much for joining us in our Sparkle, Glitter, Bling challenge at Meljen's Designs this week! Good luck! Wonderful card, love the shade of pink and the image is just adorable!!! Beautiful card, Claire! I love the image and the papers. Wow - what a totally gorgeous card this is Claire! I absolutely adore the image and your beautiful colouring and the papers and colours are stunning! Great work! Such a beautiful card and colours and a cute image too! Oh my goodness! This is STUNNING!!! I love everything about it! The image is adorable, the papers are divine, the flowers are gorgeous .. whew! Love love love it! I love the papers and flowers, this image is so adorable and the design is gorgeous. Your card is adorable! So cute and super sweet! Gorgeous card Claire! I adore these new LOTV stamps and if my mojo returns I will definately be getting some of these!! Thanks for your lovely comment and for stopping by to say hi! Gorgeous card, love the papers and the image is adorable. Loving that image and your layout and colours are brilliant. ... and so many challenges entries. It must have took a long time to link all of those?!!!? wow! swell done on fitting this beautiful card into so many challenges! it really is pretty! Stunning card, beautiful image and beautifully coloured. Thanks for joining us this week at Magical Crafts and good luck in the draw. WOW a beautiful card and an adorable image!love the Tim Holtz paper,Have a nice week. WOW! Such a really GORGEOUS card Claire! The little lady is so cute and the colours and papers are fab. hi there, i have been unable to get to your blog this week due to preparing for a demonstration, my apologies,all your cards since i have been here are gorgeous as always, and great colour combination. Aw such an adorable card Claire, gorgeous image and papers. Thanks for joining us at PFP and good luck. Sorry I haven't been to visit for a while. So adorable! Thanks a bunch for playing along with us this week at Meljen's Designs! hope to see more of your wonderful creations! I just love Marmite Claire and I equally love your card absolutely gorgeous. Thanks for sharing with us at Crafty Angels. I HATE Marmite, but I LOVE this. Your gorgeous image is coloured beautifully & those DPs are fab! Love the distressed look. Thanks for joining us at PFP. beautiful card and love all the pink. Oh wow Claire! I love your card!! The distressing with the pretty pink gives it such a wonderful shabby chic look, love it!! P.S thanks so much for my beautiful Birthday card!! such a cute card.. love the image.. the lo... and all :)) great job! 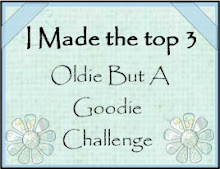 Thank you for playing with us on the Meljens challenge this week . good luck! What a gorgeous card. Love the colors and papers you've used. And this stamp is so cute. Another Wow card Claire! I think I need this stamp after seeing your stunning card lol! Its just beautiful. have been making handmade cards for a few years. Enjoy all the new stash that comes on the market and alot end up at my place!!!!! Pink & Grey - A Lovely Combo! Back With A Challenge Card! Hantu di Pertandingan Bola - Hantu seram di pertandingan bola tertangkap kamera, hantunya lagi lari..
New Link! - This blog is now closed. Please go to www.thepaperlane.blogspot.com for up to date information, occasional challenges and news! 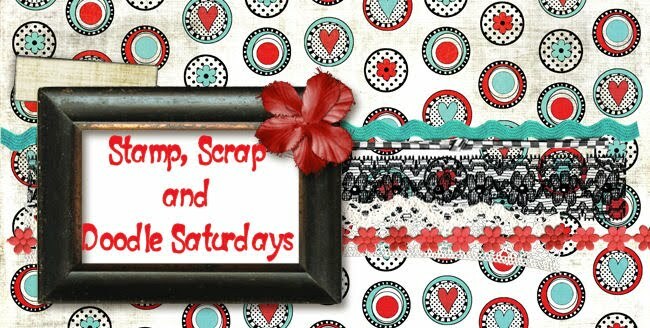 L@@K...Crafty Bargains....BIG savings!!! - Check out my *EBAY PAGE* for some AWESOME bargains!!!! Computer crash - We are currently without a computer just have my iPod our mother board died. Hubby is looking for a reasonable priced computer. Hope to be back soon.